No matter how low the bar of reason and integrity is set, the anti-smoking racket finds ways to limbo dance beneath it. This week, I have been following the #WCTOH2018 hashtag in awe. There is no shortage of charlatans and spivs in the anti-drink, anti-soda and anti-food cults, but for shameless hypocrisy and junk science, no one can touch the anti-smoking lobby. It’s difficult to know whether to laugh or cry. For the past few days I’ve had the vicarious pleasure of following the 17th World Conference on Tobacco or Health in Cape Town, mostly via Twitter. As I mentioned in my previous post there were at least 35 tobacco control activists from the UK in South Africa for the three-day event. Consumption of cigarettes has risen for the first time in more than a decade, adding to concerns about the effectiveness of measures to reduce smoking. Expenditure on tobacco products, which has been in steady decline for a generation, rose 2.6 per cent in the final quarter of 2017 compared with the same period a year earlier, to just under $4 billion for the quarter, according the latest national accounts. In the Orwell classic Animal Farm there was a binary notion that the animals lived by – “four legs good, two legs bad”. This eventually morphed into “four legs good, two legs better” as the pigs who became the lead animals began walking on two legs like the evil farmer they had replaced. Binary thinking has a role in areas like engineering where unless a bridge or building is a certain strength it may fall down. However human biology is not quite as amenable to this approach. According to emerging reports, the Guardia di Finanza conducted a pre-opening inspection and subsequently seized all e-liquids from all participants, even going so far as to tail those present in order to determine whether they possessed contraband materials. These actions appear to stem from Italy’s loss of revenue generated through punitive taxation and restrictive, expensive licensing requirements. Not smoking and not Electrofag. The Gateway to Vaping, the Gadget with Baccy, exists and I have one. I’ve looked at these before but was put off by the price. The special offer (also available in white but be quick, it’s a limited time offer) was enough to persuade me to give it a go. It arrived yesterday and I’ve used 17 of the microfags supplied already. Health groups in the U.S. largely remain adversarial towards alternative smoking technologies despite an avalanche of peer-reviewed research proving the devices drastically reduce the harmful health impacts of combustible cigarettes. It’s no secret that smoking is one of the biggest causes of cancer. Even today, with fewer people smoking, 80% of lung cancer is caused by smoking tobacco. Debates have been going on for years about whether smokers should be allowed to smoke in public. Passive smoking poses a health risk to those around the smoker, which is why smoking has been banned indoors in countries all over the world. The police have taken the unusual step of reminding vaping drivers that they need to be able to see where they are driving. Officers claim that there are people driving while producing huge vape clouds that block their vision. The warnings are clear: vapers stand to receive fines in court, or lose their licence, if caught vaping irresponsibly while in charge of a car. As adolescents cross the threshold to young adulthood, they encounter more opportunities to engage in or accelerate previously discouraged or prohibited behaviors. Young adults, therefore, are more apt to initiate cigarette smoking and, more importantly, to accelerate their use if they tried and experimented as an adolescent. Preventing the escalation and entrenchment of smoking in the young adult years is critically important to reducing tobacco’s long-term health toll. Tuesday 20 March at 12.30 am in European Parliament (Room JAN 6Q1) will be held the event: “Electronic cigarette and damage reduction: a potential step forward for European health”. Coordinator is Giovanni La Via, European Parliament. National experts have gathered to dispel the myths around electronic cigarettes. More than 100 people gathered for the Making Smoking History in the North East Partnership event hosted by Fresh North East. The event came two weeks after Public Health England (PHE) released a major independent evidence review of e-cigarettes. Vapers in the Philippines lauded the latest statement of the American Cancer Society (ACS) declaring the group’s cautious support for e-cigarettes as a tool to help individuals quit smoking tobacco. “These individuals should be encouraged to switch to the least harmful form of tobacco product possible,” said the ACS in a paper. “Switching to the exclusive use of e-cigarettes is preferable to continuing to smoke combustible products,” it said. Sherwin Edwards, Founder, President and CEO of Vapselect Inc., a staunch advocate and activist for the vaping industry, has registered to independently lobby Health Canada and other Government agencies after all efforts using the democratic process to be heard by the federal government have been exhausted and ignored. The Alaska Senate has voted 18-0 to prohibit the sales of e-cigarettes and vaporizers to Alaskans under 19 years old. Senate Bill 15, proposed by Sen. Gary Stevens, R-Kodiak, goes to the Alaska House of Representatives for consideration. If approved there and signed by Gov. Bill Walker, SB 15 would expand Alaska’s existing ban on vaping by those under 19. A change to Pascagoula’s smoking ordinance could cause some who use e-cigarettes to rethink where they vape. Theresa Gouff is an owner of Outrigger Bar and Grill in Pascagoula. She has a lot of regulars who fills these seats, some of whom vape at the bar. Soon, those vapers will have to join her in the smoking section outdoors. “If you’re going to do it for smoking, you might as well do it for all of it,” she said. The goal of this research project is to understand the patterns of e-cigarette usage and its impact on the consumers in India. I am somewhat dismayed by the claims made, given the circumstances that are required to generate alarming results. On the one hand, a sealed product contains high levels of benzoic acid, but does not generate any measurable levels of benzene. User fillable devices contain only much lower levels. Having identified a maximum level of 2mg/ml in the user fillable devices, rather than attempting to generate some data using this level, which might have some real world value, the authors use 9mg/ml. The upshot of the deceptively laconic announcement last week by the Health Ministry is that Health Minister Yaakov Litzman is shirking his duty to protect Israelis’ health. 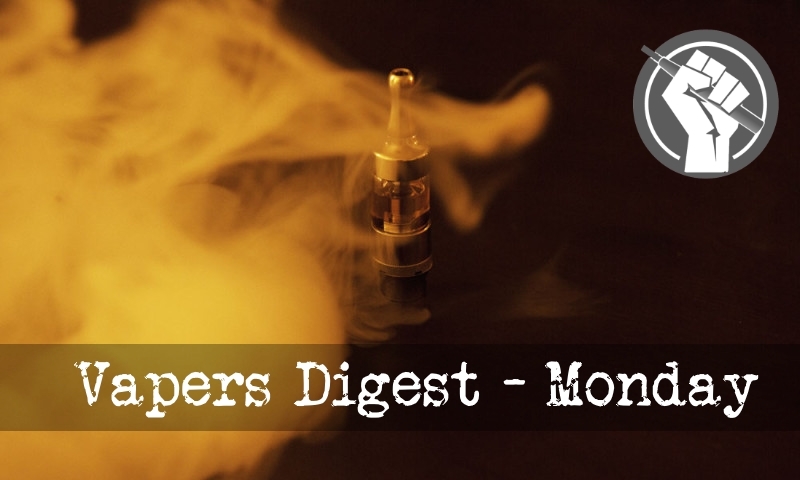 According to Litzman, pending a ruling by the U.S. Food and Drug Administration, no restrictions will be placed on IQOS, Philip Morris’ new e-cigarette now being sold in Israel.